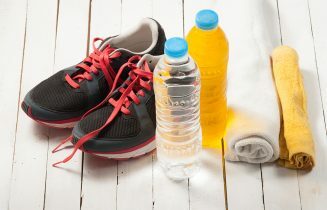 Why is fluid important during exercise? Water has many important roles in the body and is required to maintain blood volume and regulate body temperature. During exercise the body cools itself by sweating but this ultimately results in a loss of body fluid which, if not replaced, can lead to dehydration. Sweat production (fluid loss) increases with increasing temperature and humidity, as well as with an increase in exercise intensity.